Have you been accused of a crime? Your criminal and traffic defense attorney can make all the difference. 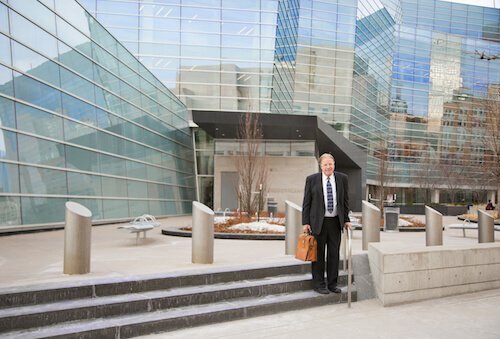 Mark P. Miller is a top-rated Denver criminal defense attorney. We know dealing with District Attorneys and the court system is very stressful and frustrating — especially if you have been wrongly accused of committing a crime. We will help protect your rights. Whether you are accused of committing one or more felonies, misdemeanors and/or petty offenses, call us. Don’t represent yourself! You have too much to risk! We help clients with administrative hearings involving the Department of Motor Vehicles, including License Revocation and Suspension Hearings. Be aware TIMING is CRITICAL. If you are charged with an alcohol or drug-related driving offense, you may be required to request an Administrative Hearing within SEVEN DAYS of being cited or arrested by the police officer. If you miss the deadline, you are out of luck. And you have lost your right to a hearing!